Gunki BC 200 NG Reel is a cool looking modern design characterise this low profile casting reel that strikes the perfect balance between performance and price. The tough, light and strong single piece composite body reel with reliable gearing with an accurate drag system and smooth action. 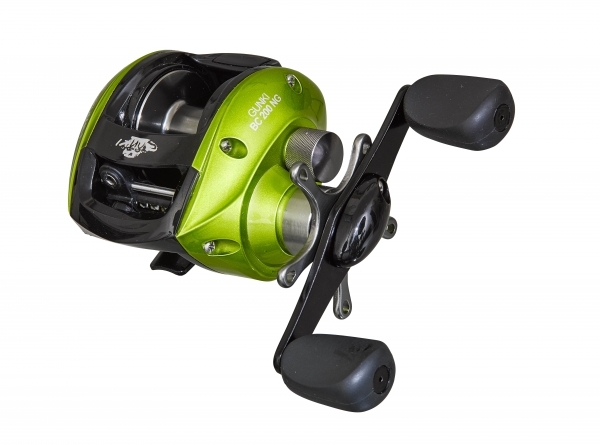 BC 200 NG is a great reel for anglers looking to develop their skills in baitcasting with a multi-disk progressive combat drag rated to 5kg and the smooth line retrieve of 69cm per full turn thanks to the magnetic casting drag with precision setting this Bait Casting Reel is more than up to the job.